After serving for nearly four years as the European Union’s Ambassador to Japan, Viorel Isticioaia-Budura will be returning to the Ministry of Foreign Affairs in Bucharest, Romania, and will report for work on 1 September, 40 years to the day since he signed his contract to join the ministry. 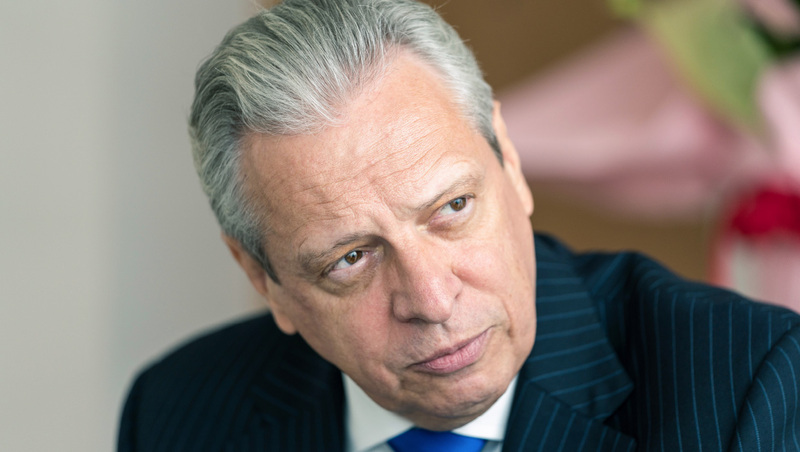 During his four decades of service to his country and the EU, he has been Ambassador of Romania to the Republic of Korea and People’s Republic of China, and was head of the Asia–Pacific Department for the European External Action Service in Brussels before being posted to Japan. 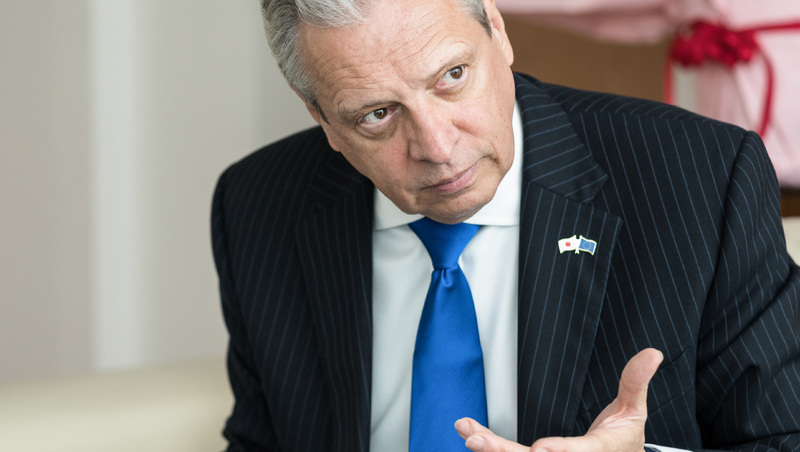 Ambassador Isticioaia-Budura spoke with Eurobiz Japan about the strengthening of EU–Japan relations, the historic agreements that are currently being finalised and the high points from his time in Japan. How have you seen EU–Japan relations change while you have been here? When I arrived in Japan at the end of 2014, I felt ambitious and said in my first interview that I would like to challenge the old, established pattern of EU–Japan relations, to change the way the Delegation works — responding better to the needs of the EU member states and the expectations of our Japanese partners — and, in the spirit of the times, to catch the chances that were out there. So, challenge, change, catch chances, and a fourth cha-cha-cha, to channel better our resources. That was four years ago. I’d like to say that I feel all this was, to a certain extent, fulfilled. This was joint work with our Japanese partners, with my experienced team here, with the EU member states’ diplomatic representatives in Tokyo— and, of course, with a good deal of collective wisdom. Now, we are in a moment when EU–Japan relations are more mature, on a stable, more predictable course. We succeeded in achieving a good opening of bilateral relations — based on the previous decades of cooperation — with a wider spectrum of areas of mutual interest being identified and more realistic steps being taken to explore possible areas of cooperation. We are now equipped with the agreements that are going to frame the relations for the coming decades: the Economic Partnership Agreement (EPA) and the Strategic Partnership Agreement (SPA), which are finally going to be signed at an EU–Japan summit in the summer and then given to the parliaments for ratification. What do you believe are the most significant achievements that came out of the EPA negotiations? It was a mutual learning process, and it was very meaningful. The agreement is so wide in scope and ambitious in the number of issues, and it deals with so many stakeholders and constituencies. To pick one example, during one of the G7 ministerial meetings, Japan’s then-minister of agriculture was with other ministers from the G7 forum and he put on the table a number of genuine Japanese food products, declaring in front of everybody these products are GIs [covered by geographical indication] in the newly adopted legislation. I felt proud to have had this kind recognition from the Japanese side that there is value in our experience with GIs. The EPA, which covers GIs on both sides, has proven it. Why is the Strategic Partnership Agreement important? This ambitious and comprehensive political framework agreement was negotiated in parallel with the EPA. In response to the common challenges we are facing, there are provisions on climate change, energy supply, threats to security. We’ll have new tools under this framework to promote peace, stability and prosperity globally, including in international organisations such as the G7, G20, OECD and the United Nations. But I would not forget areas that now are qualified as critical for both the EU and Japan: space, cyber, maritime security, counterterrorism and disaster-risk management. The EU and Japan have resources, have potential, have the right understanding of the complexity of the brave new world we are facing to go out together and do something for the public good, for international cooperation, to defend the rules-based international order. The strategic partnership shows that it’s “bilateral plus” between us, that we go beyond bilateral relations, widening and generating something new through this partnership. 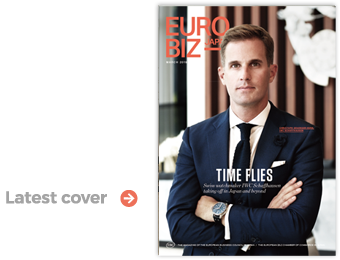 How important has the European Business Council (EBC) been in relating the needs of European businesses in Japan? The EBC continues to be a must, an absolutely necessary partner for the EU Delegation — and for the member states, because not all of them have national chambers here. The EBC’s expertise, which is summed up in the recommendations from sectoral working groups in its annual white papers, is very valuable. As an umbrella organisation, it is a powerful and comprehensive representative of European business interests and complements the role of the national chambers. For the implementation of the EPA, we’ll need to do the monitoring together, to watch how things go and prevent unpleasant surprises from popping up in terms of barriers, issues generated by inertia, or conservatism in certain parts of the Japanese system. We need the same excellent contribution from the EBC that was provided during the negotiations: intelligence on major developments in various sectors. Can you share a few highlights from your time here as ambassador? There were so many moments in which I was happy and proud to be here in Japan. The big G7 summit, along with the string of ministerial meetings, hosted here in Japan in 2016 was very important because it happened, from the European perspective, at the right time during our bilateral negotiations on the two agreements. It brought a good number of important people here: we had not only the two presidents, of the European Council and the European Commission, but also almost a dozen commissioners, which allowed for a number of bilateral meetings. It made the EU more visible to Japanese partners, institutions and stakeholders. And it was quite useful in advancing their understanding that the EU is a partner on major issues, on geopolitics and geo-economics. I was happy to be there with my team, in supporting, in encouraging, in assisting.